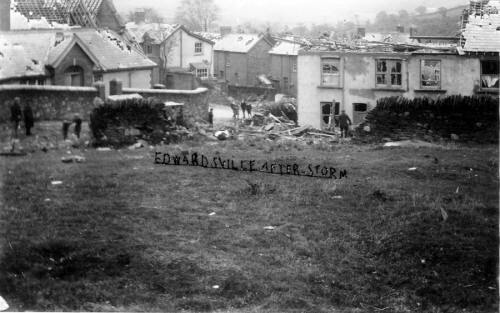 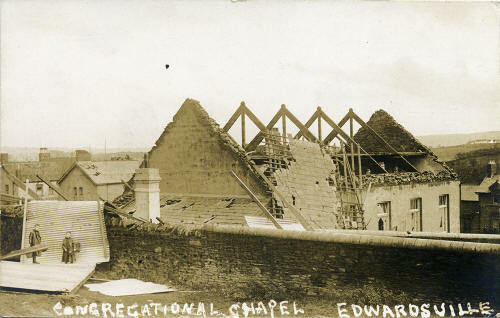 Three people were killed, houses and a chapel were wrecked and over a hundred people injured when a force 6 Tornado struck Edwardsville, on Monday the 27th of October 1913. "Men were lifted from their feet and dashed to the ground" according to a press report. Roofs were lifted several miles. A hayrick weighing several tons was carried for a mile. Near Pontypridd half a ton of brick chimney was carried several hundred yards. 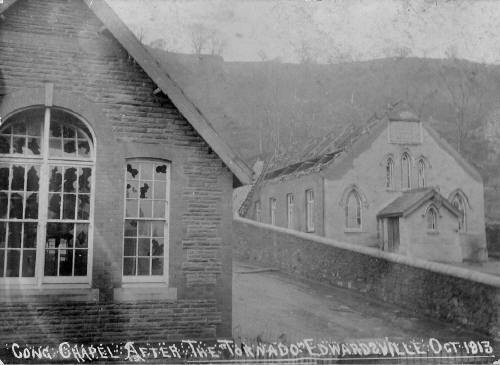 It was associated with a thunderstorm that was seven miles wide, although the tornado was only about a hundred yards wide. The death toll is Britain's highest for a Tornado. 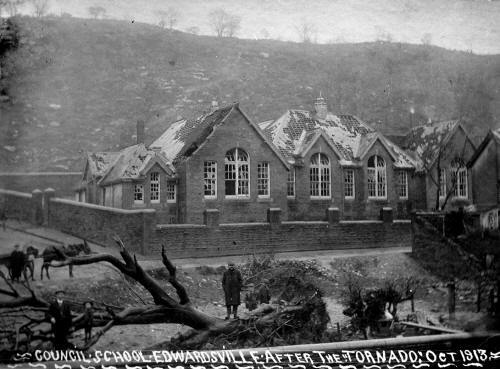 The Chapel, School and surrounding area. 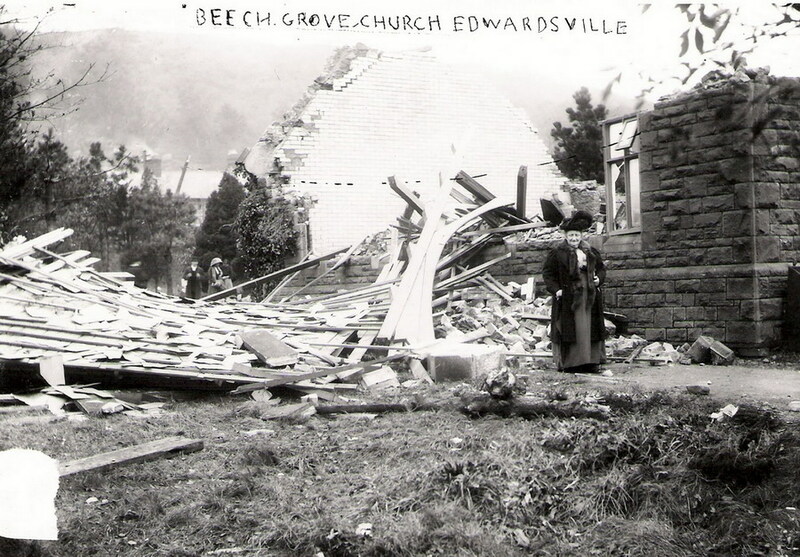 Edwardsville, Vaynor House, removing the furniture. John James (Haulage Contractor) on the clearing up job. 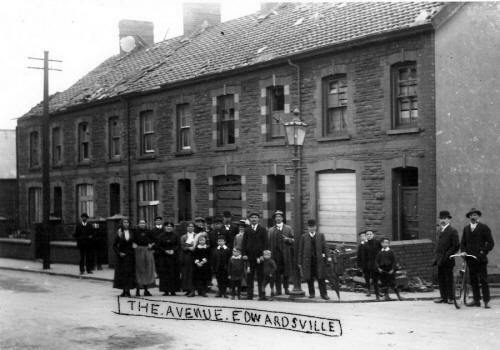 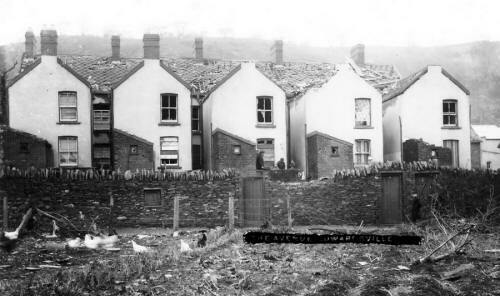 The Avenue and Nantddu Terrace. 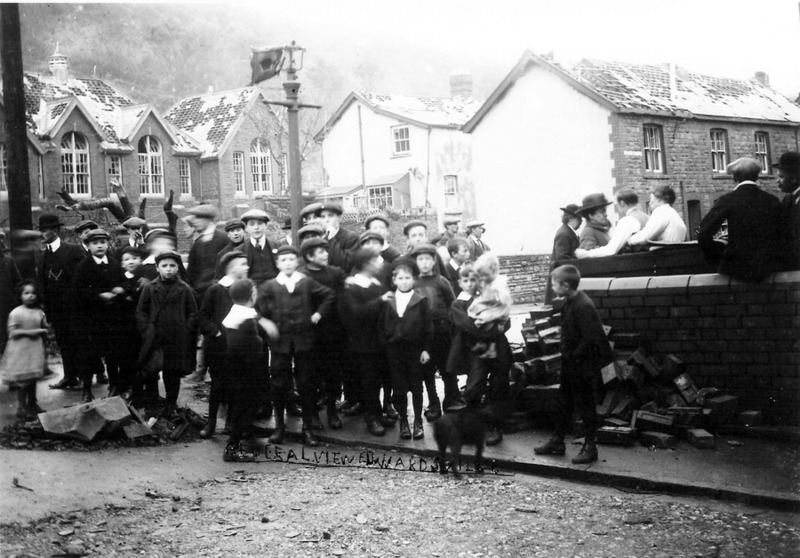 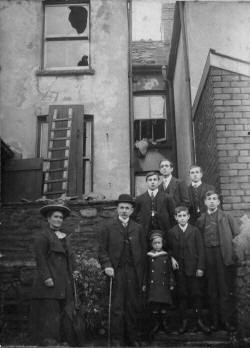 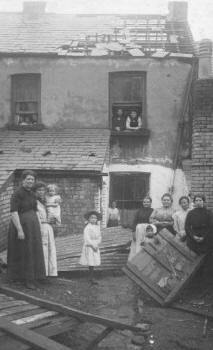 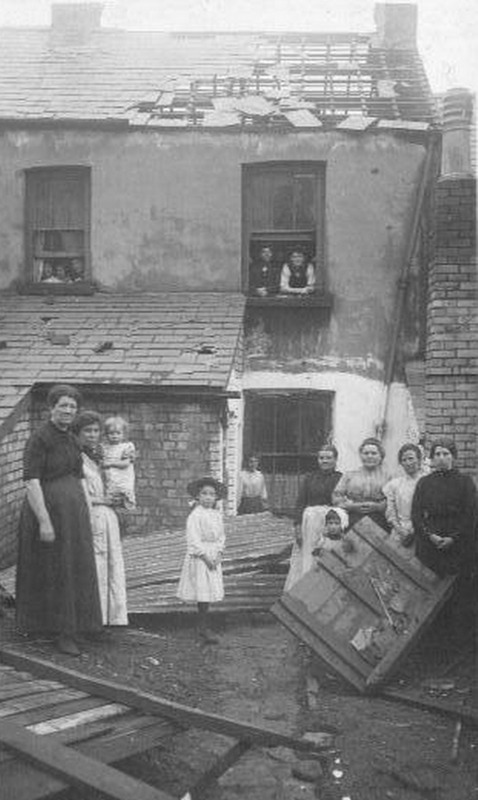 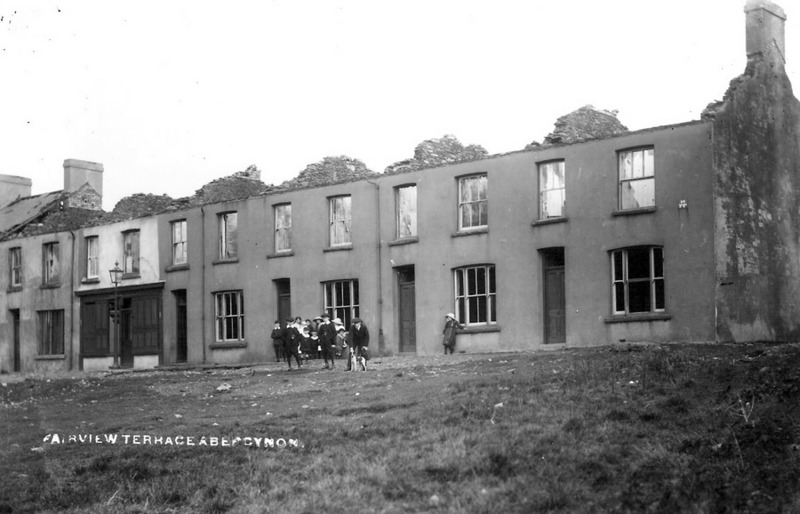 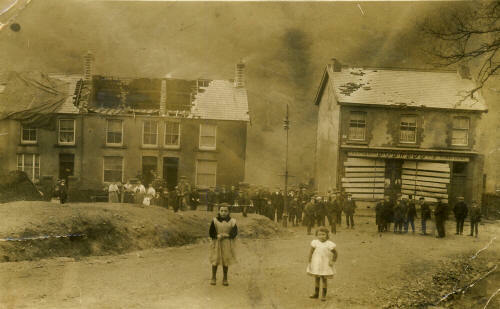 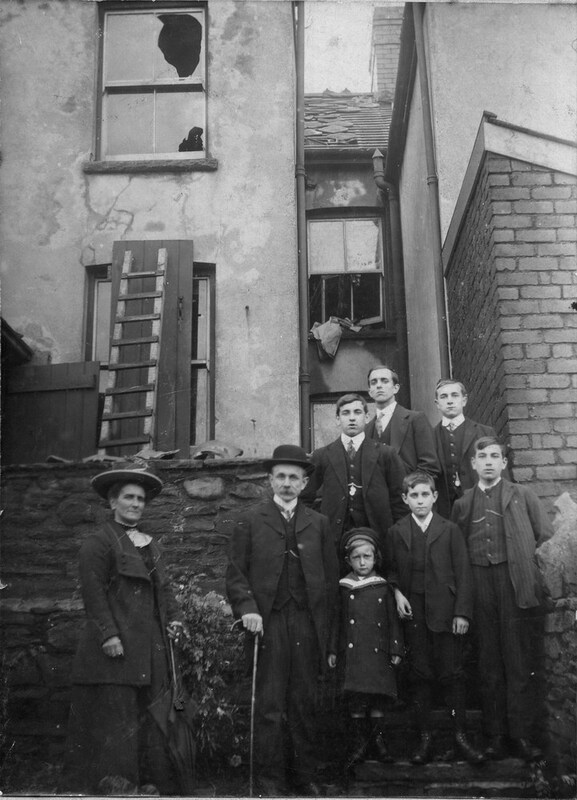 Inhabitants moving their furniture to a place of safety at Treharris. 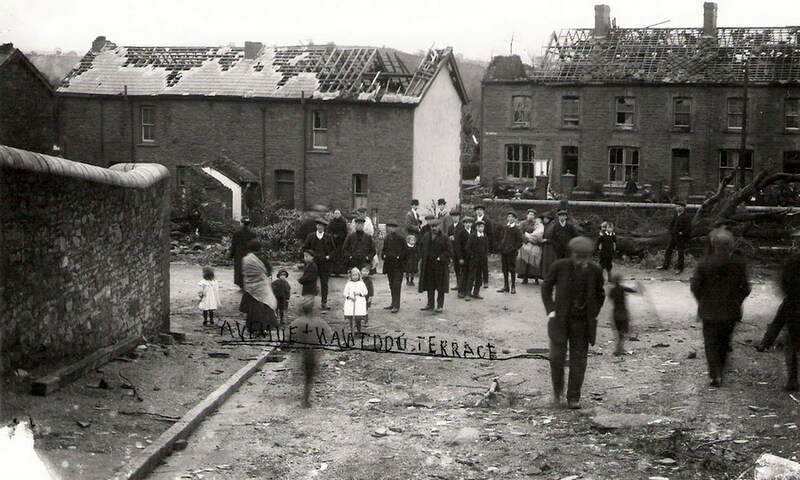 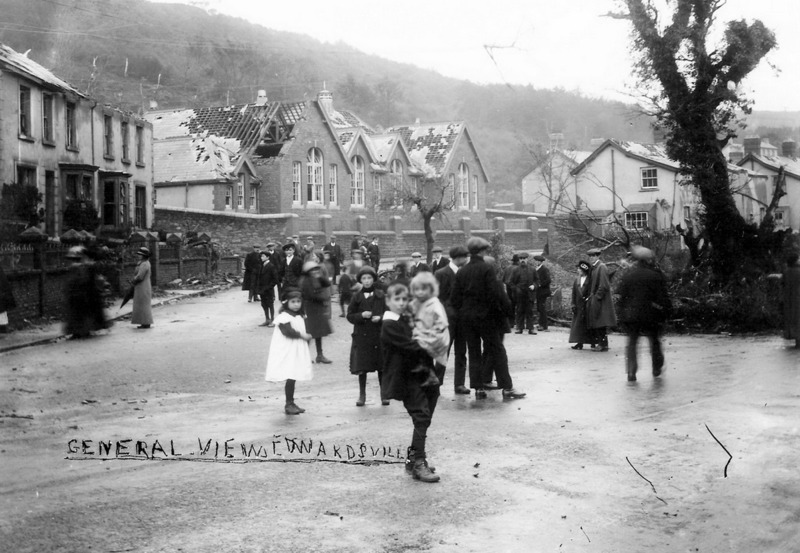 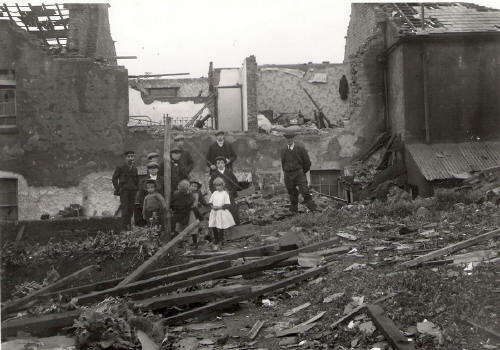 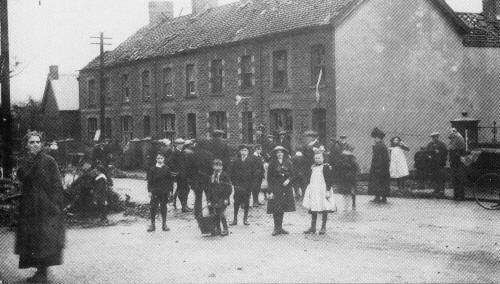 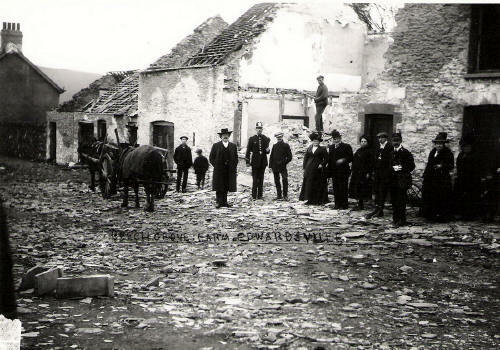 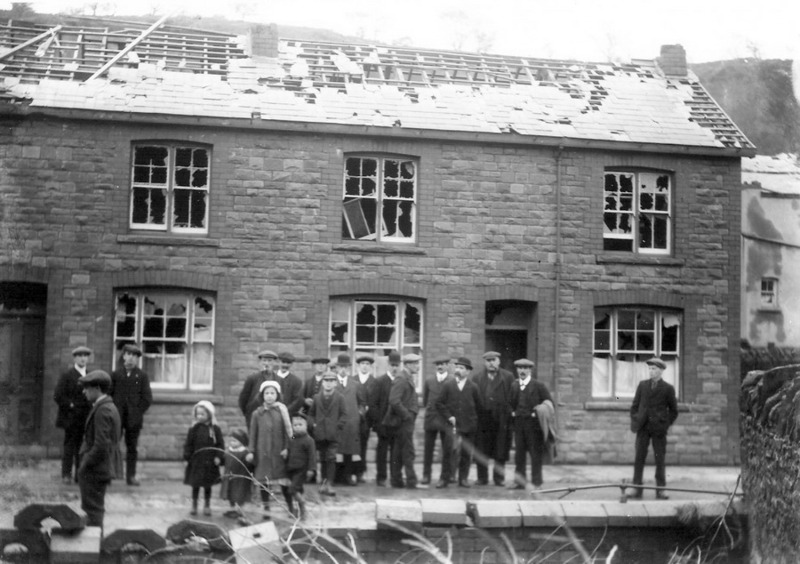 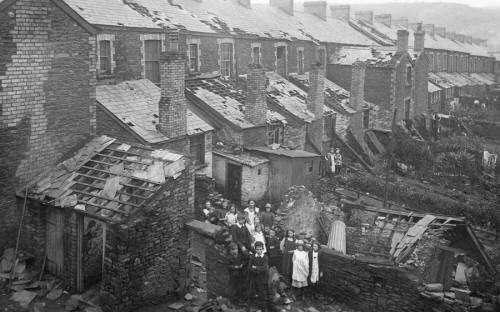 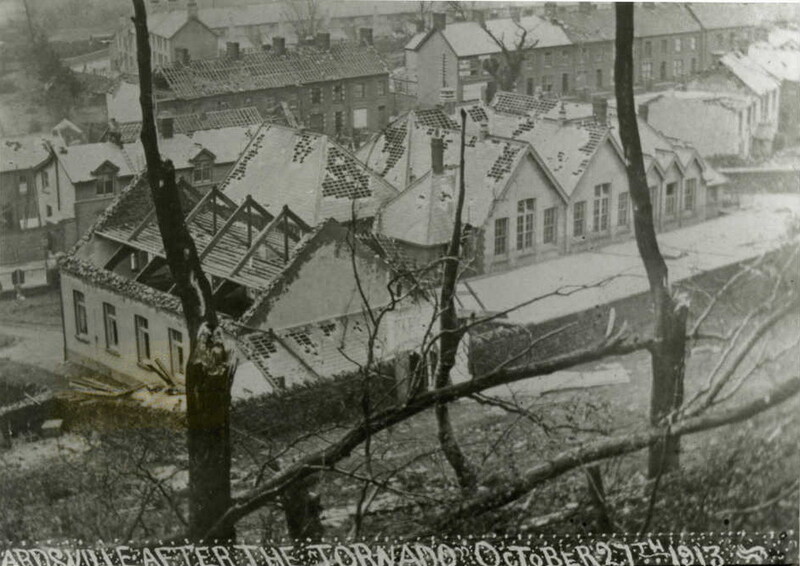 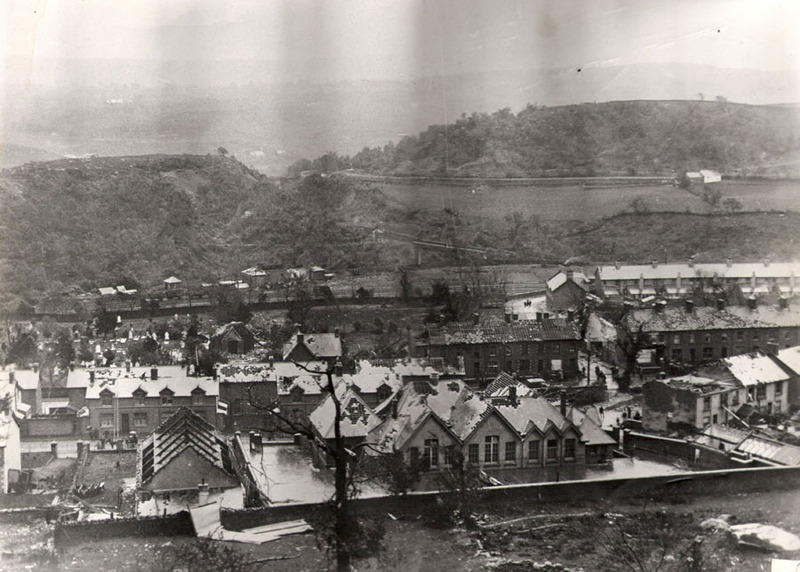 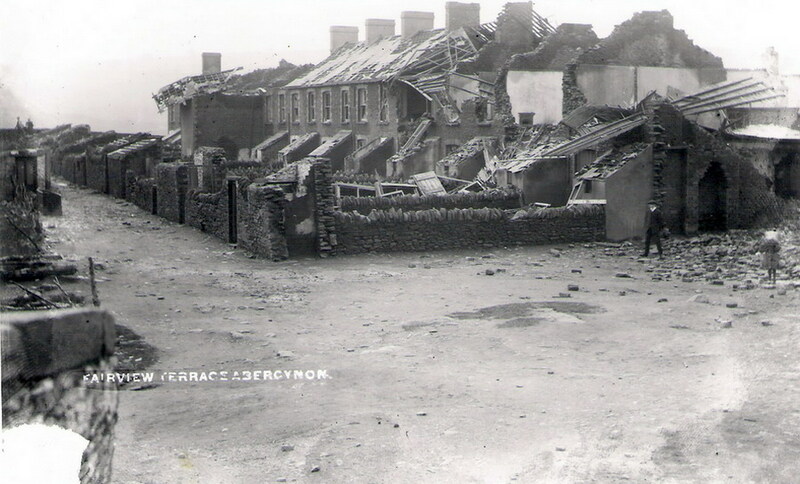 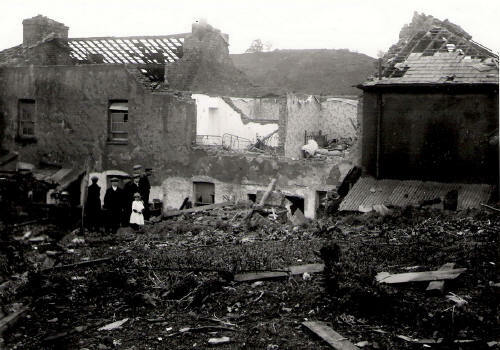 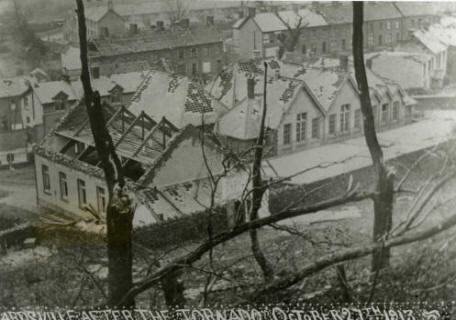 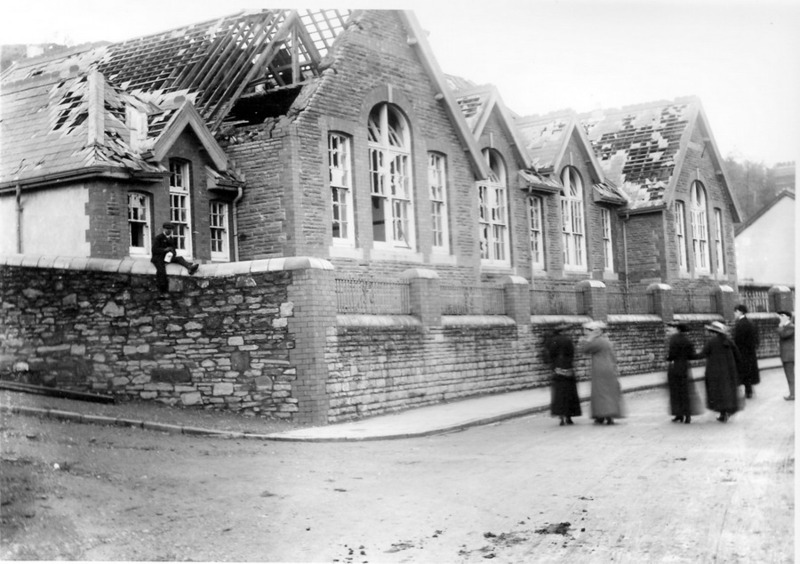 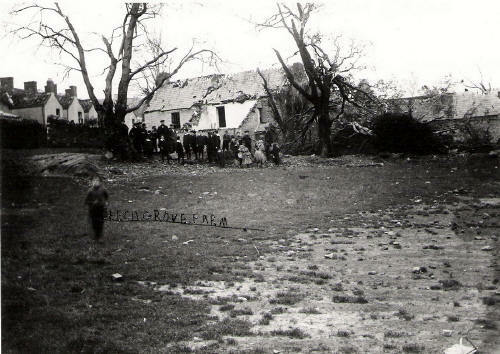 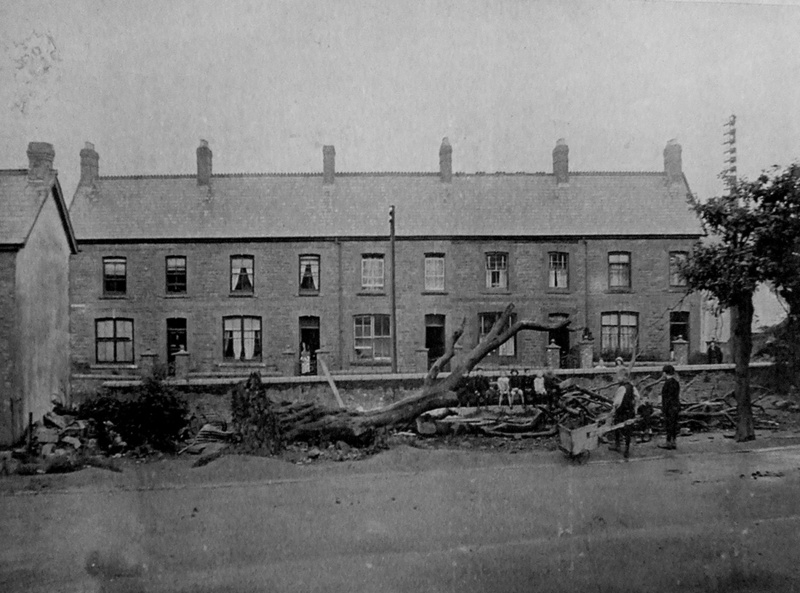 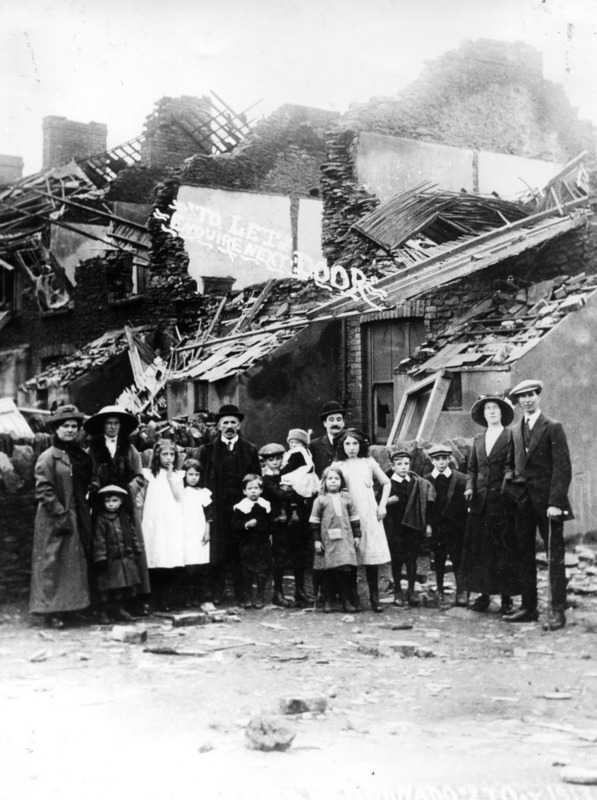 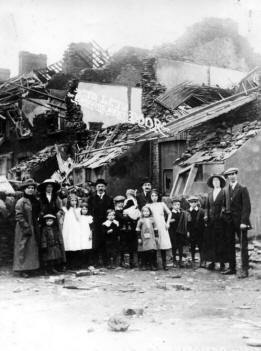 Fairview, Penlocks after the Tornado 27th October 1913. 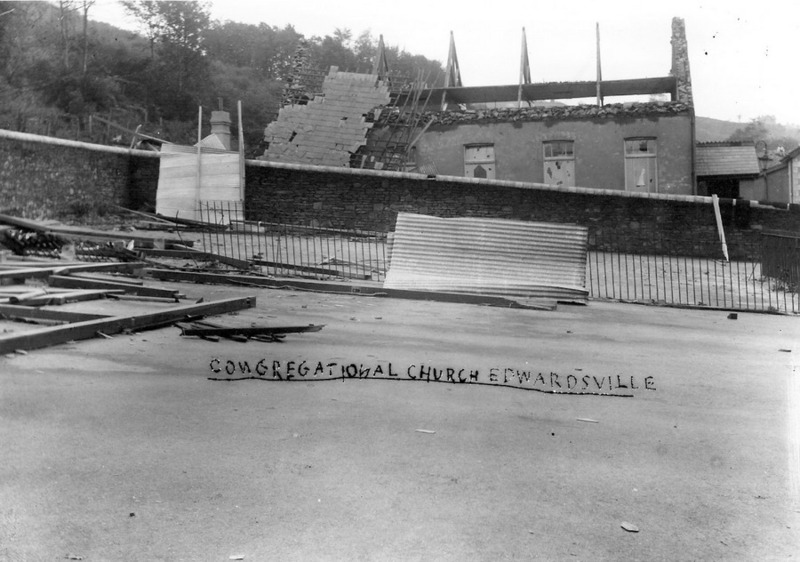 Edwardsville - After The Storm.